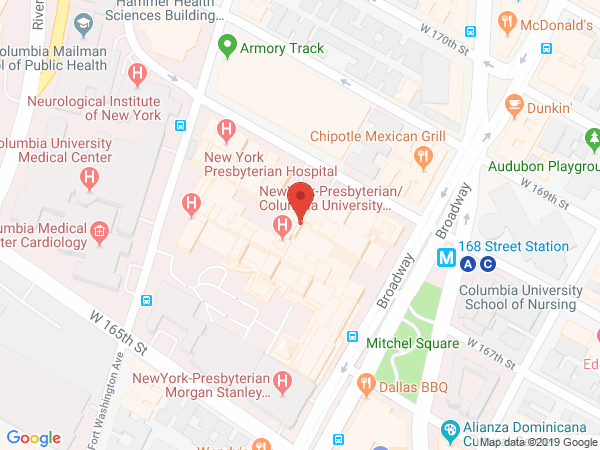 CSCI Flow Cytometry is a full-service resource center, offering the Columbia University community access to high-end flow cytometry, analytical and cell sorting tools, as well as other complementary technologies. It is our mission to provide well-maintained, quality controlled, and monitored instrumentation; access to all technical information available to operate flow cytometry instrumentation and execute high-quality experiments; and flexibility of access to the instruments. Our model emphasizes self-service cell sorter and cell analyzer access; we provide a comprehensive training program and support for researches who pursue this mode of instrument usage. Core staff is always physically present in the facility space, so guidance is at-hand when needed. During staffed hours, from 9AM-6PM, Monday-Friday, instruments are set up and quality-control is assessed so users can immediately begin to set up their experiments with confidence that the instruments are fully-functional when they arrive at the core. For users who wish to use the instruments after hours, an additional training component is offered which includes startup, quality control, and more in-depth troubleshooting aspects. For these “super users”, the instruments can be used on a 24/7 basis. For users who do not plan on using the cell sorters extensively, we also offer assisted cell sorting during staffed hours. We offer flow cytometry services held to the highest standards of quality and reproducibility and are skilled in stem cell assays as well as those of non-traditional cell types. We aim to execute sorts with high purity, recovery, and viability of the sorted fraction. When sorting cells for RNA extraction, we strive for high yield and quality. These core competencies are demonstrated by our success in the following applications. Please see the CSCI FACSAria Filters and Fluorophore Guide for more details about Jupiter and Neptune’s configurations. Note that the configurations of both “Jupiter” and “Neptune” are identical, facilitating portability of experiments between the two instruments. Bio-Rad S3e "Juno" is a two-laser, four-color benchtop fully-automated, walk-away cell sorter that boasts a variety of features that enable unprecedented ease of use. New users can be trained to operate the instrument in far less time than would be required for other cell sorters. "Juno" is extremely well-suited to simple sorts of fluorescent proteins or cell-surface markers of up to 4 colors. Important: “Juno” is housed in a Class I biosafety cabinet, so human tissue can be sorted on this system. The Bio-Rad ZE5 “Apollo” is 30-parameter fully-automated flow cytometer cell analyzer equipped with five lasers and can measure 27 fluorescence parameters simultaneously, 488 nm forward scatter, 405 nm forward scatter (optimized for smaller cells and particles), and side scatter (488 nm). The ZE5’s unique optical design offers superior fluorescence measurement sensitivity for better resolution of populations. Please see the CSCI ZE5 “YETI” Analyzer Configuration for details of specific filter and laser combinations. Please see the CSCI ZE5 Fluorophore Guide for more information for panel design on the ZE5. The ZE5 was designed with maximum flexibility in mind. Samples can be acquired from virtually any type of tube or plate type, and new plates can be quickly calibrated through Everest software. Acquisition is fully-automated, so users can set up the experiment and walk-away while it is running. This instrument implements sophisticated monitoring tools, including a bubble detector, so the instrument will stop acquisition automatically if a problem is encountered. Additionally, the ZE5 is capable of acquisition speeds that far surpass those of other analyzers. The state-of-the-art electronics can process up to 100,000 events per second with no electronic aborts, and the sensitivity of the system permits sheath pressure of 10 PSI, approximately double that of comparable analyzers, which facilitates higher sample throughput. When using High-Throughput Mode, a 96-well plate can be acquired in less than 10 minutes at the fastest settings. The BD FACSCelesta "Pluto" is 14-parameter, 12-color analyzer equipped with three lasers. The FACSCelesta offers high-sensitivity for up to 12-color panels and is controlled operated with FACSDiva software, facilitating an easy transition for users from cell analysis to cell sorting on the FACSAria instruments. Please see the CSCI FACSCelesta Configuration Guide for further details of the configurations. The Luminex-200 is a magnetic microsphere-based multiplexed assay system. This instrument is flow cytometry-based and can detect up to 80 targets in a single tube. The Luminex can detect both protein and nucleic acid targets and can read a 96-well plate in approximately 45 minutes. The Fluidigm BioMark HD is a microfluidics-based multiplexed genomic analyzer that can accommodate a wide variety of sample types and chemistry. This instrument is capable of sensitivity of 15 orders of magnitude to enable measurement of gene expression profiles of single cells. The CSCI Flow Cytometry BioMark is capable of running both the 48.48 and 96.96 chips. The 48.48 chip contains 48 assay inlets and 48 sample inlets for a total of 2,304 reaction chambers of 10.1 nL. The 96.96 chip contains 96 assay inlets and 96 sample inlets for a total of 9,216 reaction chambers of 6.7 nL. The QuantStudio 7 Flex real-time PCR System delivers reliability, sensitivity, and accuracy with the versatility of four interchangeable blocks and is optimized to enable the broadest range of qPCR applications. Note: CSCI Flow Cytometry currently has only the 96-well and 384-well blocks. The QuantStudio Flex 7 can measure up to 6 colors with 21 filter combinations. To access the core, please read these instructions and policies. We are a shared resource that is open to all Columbia University laboratories and researchers. Please contact core staff if you are interested in utilizing the instrumentation in CSCI Flow Cytometry. All scheduling, including training, is processed through iLab. Please make sure that you have an iLab account by registering and logging in. The first step is a brief orientation meeting in the core, which is located in Hammer 710. After this visit, you will be granted key card access to the room. Training is required for users who wish to use the instruments independently. For users who wish to utilize the instruments with staff assistance, no training is required. Important: To ensure staff availability, assisted use sessions must be arranged with the core facility before booking on iLab. Last-minute requests will be accommodated on a case-by-case basis, depending on staff availability. Please contact the core at CSCIflowcytometry@cumc.columbia.edu if you are interested in assistance with the sorters or analyzers. Please note that the Luminex, BioMark, and qPCR machines are operated by users only. CSCI Flow Cytometry does not currently provide assisted use sessions for these instruments. Instrument training is offered on an as-needed basis that is limited only by staff and instrument availability. Training is hands-on, and CSCI Flow Cytometry will provide materials and documentation to ensure that all users feel comfortable and confident on the instruments. Training for the cell sorters and cell analyzers is billed at $85 per hour. Due to the relative simplicity of operating the Luminex, BioMark and QuantiStudio, training is offered at no charge. Please note that achieving full confidence on the instrument requires more time than the training session alone. CSCI Flow Cytometry staff is always on-hand to help if need be, especially during the first several independent experiments. The success of a shared resource is highly dependent on a level of mutual respect among the core users and between the core users and the instrumentation. The following policies have been established to ensure highly functional instrumentation, smooth transitions between user sessions, and an overall productive experience in CSCI Flow Cytometry. The reservation and cancellation policy depends on whether the user is part of a CSCI member lab (both Full and Affiliate members) or a non-member lab. All cancellations that occur after the respective deadlines will result in full charge of the reserved time. Note that iLab permits only one set of scheduling and cancellation privileges. All users, whether part of CSCI labs or not, may book time in iLab up to 30 days in advance. However, all reservation requests require approval, and bookings will only be approved if they adhere to the scheduling policies detailed above. All reservation requests will be approved or denied as soon as possible, up to 24-hours after they have been submitted. Trained users may operate the instruments independently without restrictions. However, this privilege is dependent on users both demonstrating proficiency with the technology and, most importantly, respect for the instrumentation, core policies, and other users. Independent operators are expected to strictly follow all standard operating protocols. These protocols are designed to maintain the instruments in working order. Machine cleaning must be rigorously followed. Additionally, in the event of any issue or problem encountered during operation, core staff must be notified immediately so that a resolution can be implemented. Accidents and mistakes do happen, but it is extremely important that we know about any problems so that they don’t affect other users. Users are expected to check iLab and shutdown the instrument they are using if no one has scheduled a session afterwards. If an instrument is left on, CSCI Flow Cytometry reserves the right to charge the user for the duration of time that the instrument was left on. While we will make all efforts to help users off-hours, we cannot guarantee that someone will be available. Please reach out if you encounter a problem, and we will do our best to help you resolve it remotely. The cytometer computers are equipped with Team Viewer, which allows us to connect and control the computer remotely. While CSCI Flow Cytometry will make all efforts to safeguard the data on the cytometer computers, we ultimately cannot be responsible for users’ data. Data must be exported from the instrument computers immediately after the experiment is completed. Please use the OneDrive account that is associated with your CUIMC Office365 account. USB drives are not permitted to be connected to any of the instrument computers. Additionally, in order to maintain the integrity of the FACSDiva databases and to maximize available hard drive space, a data purge is performed on a bimonthly basis. Both FACSDiva experiments and FSC files, generated more than two months before the date of the data purge, will be deleted from the cytometer computers. An email notice will be sent to users approximately one week before the deletion, and it is the users’ responsibility to export and archive all data as needed before it is deleted. A dedicated analysis workstation is available in the facility. Please reserve this computer through iLab. There is no charge for this service. FlowJo is available for data analysis. Michael has spent the past several years involved in flow cytometry in several roles that have given him a unique perspective of the field. His first exposure to the technology was in Diana Laird’s laboratory at the University of California, San Francisco, where he used cell sorting to purify primordial germ cells to study germ cell development in the mouse. After a role as a Scientist at Partec North America, a manufacturer and distributor of analytical flow cytometry equipment, Michael assumed the role of manager of the Broad Center Cell Analysis and Sorting core facility, which served the Eli and Edythe Broad Center of Regeneration Medicine at UCSF. This core facility maintained three cell sorters and an analyzer and served a large group of users with broad research interests from both the Eli and Edythe Broad Center as well as users in the UCSF community at-large. After UCSF, Michael joined Bio-Rad Laboratories to participate in the launch of the S3e benchtop cell sorter. Michael’s most recent position was at Propel Labs, a small engineering company with extraordinary expertise in designing flow cytometry instrumentation. Michael was a part of the launch team for the high-parameter YETI (now Bio-Rad ZE5) analyzer and worked closely with engineers, scientists, and early-adopter YETI customers to finalize the development the product. At Columbia, Michael manages all aspects of the CSCI Flow Cytometry, which maintains several high-end, high-performance, and well-maintained flow cytometry and cell sorting equipment. In his spare time, Michael enjoys spending time with his dog, Cooper, and cat, Sebastian, tending his indoor garden, watching movies, and cooking. Daniel earned his MS in Biology from Rutgers University where his research focused on molecular ecology, evolution, and entomology. During his time at Rutgers, Daniel worked on a variety of research projects including examining the population genetics of migratory dragonflies. Following graduation, he gained experience working in a medical microbiology diagnostics laboratory, as well as performing pre-clinical trial data analysis for FDA submission, prior to joining the CSCI Flow Cytometry Core. As a CSCI Flow Cytometry team member, Daniel works to ensure high-quality results from our flow cytometry experiments by maintaining a variety of high-performance cytometry equipment and assisting users.